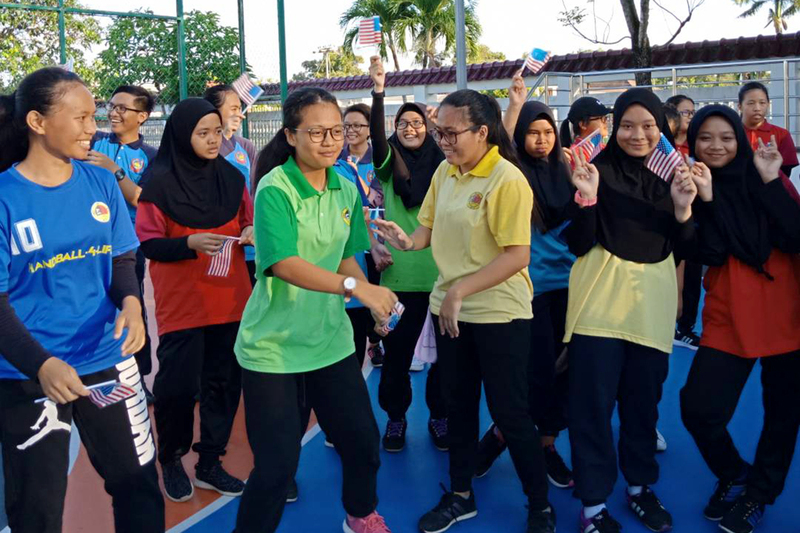 Basketball and other sports give Malaysian high school students a chance to test their language and athletic skills. MIRI, MALAYSIA – Saturday afternoons for your typical Malaysian high school student are drastically different than what they’re like in the United States. The overriding emphasis here on government exams and grades often confines these youngsters to hours of extra classes and studying, even on the weekends. One of our jobs as Fulbright English teaching assistants is to try to make learning fun by organizing special camps that promote conversational English. 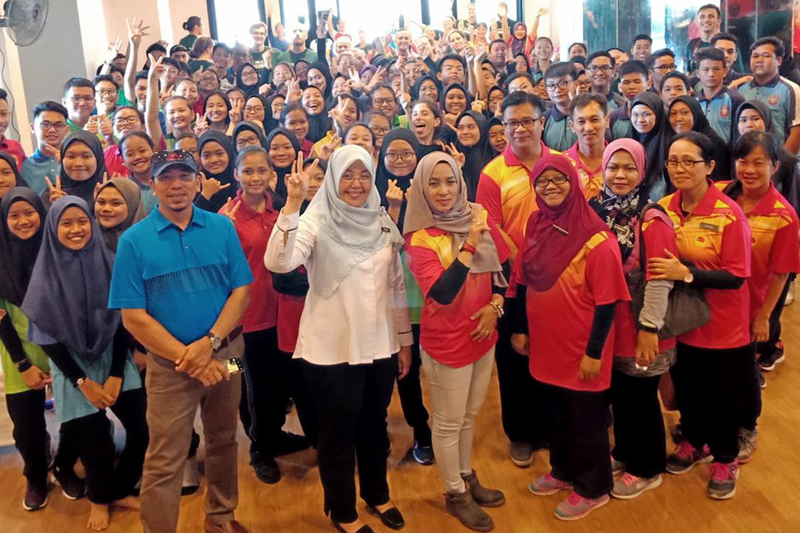 These camps often have specific themes, and I chose the subjects of health, sports and fitness, topics that I find to be particularly important for stressed students who tend to treat their own physical and mental health as an afterthought. The goal was to encourage the students to practice their English while learning about sports and fitness. Today, within the first couple hours of the camp, the students seem a bit wary. Naturally shy, many appear uncomfortable mimicking the movements the personal trainer and dance instructor are showing them. 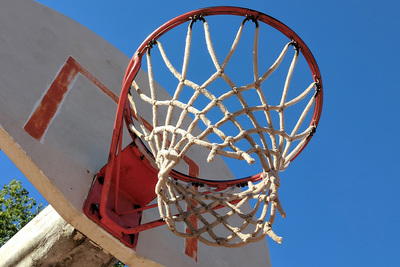 It reminds me of my own experiences as a child when I first participated in organized sports, a step that ended up playing a large role in my own cultural integration as the son of immigrants to the United States. 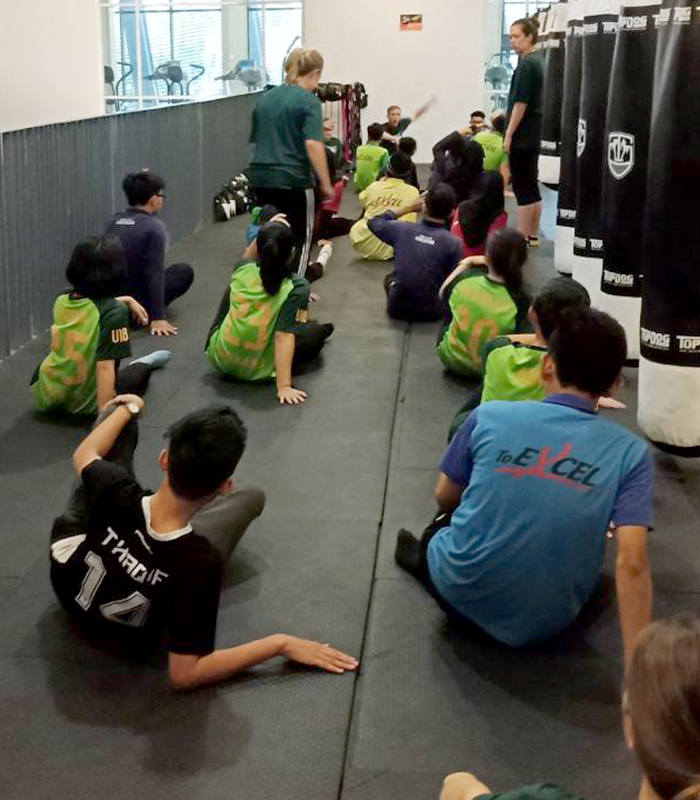 The students engage in a self-defense session with a former mixed martial arts fighter. Eventually, the students begin to relax. Their tired, stoic faces transform into ecstatic, beaming smiles. We engage in conversation with them regarding the importance of keeping a set of healthy habits, and they learn new phrases relating to our rotations. “Takedown!” they mutter in their self-defense class. “Squat, jump, stretch!” they repeat in their pilloxing cardio session. I notice that some of my most reserved female students take a particular liking to Muay Thai, a local form of mixed martial arts. Miri education officials and school faculty officiate the opening ceremony of the camp. As the tutorial progresses, I can see that their trust is growing. 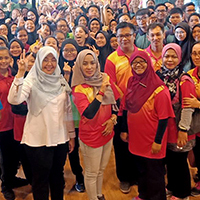 They are looking to their female trainer as a role model, an outlier in a society that doesn’t always encourage young girls to pursue athletics. 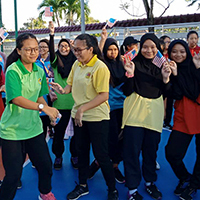 Students flaunt souvenir American flags at the closing ceremony of the Health, Sports and Fitness English Camp. Near the end of the day on the basketball court, I notice that one young girl doesn’t seem ready to let it end. Having been introduced to the sport for the first time, she is determined to make a basket. She pulls up by the free-throw line and takes a shot. It misses wide right. She steps forward and tries again, but it bricks off the backboard. She returns to the same spot and fires again. It just barely rattles out. On her fourth try, she finally makes her shot. She falls to the ground in tears, as if she’s just won a national championship. This final moment epitomizes what my experience here has been like thus far. As a first-time teacher in an utterly foreign environment, I have learned that not everything falls into place perfectly. But I’ll be spending the next five months here, shooting my shot and doing my best to make my time here count. 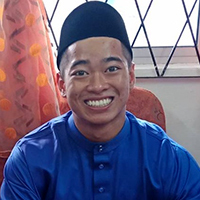 Illinois alumnus Daniel Santos is a Fulbright English teaching assistant at a high school in Miri, Malaysia. A first-generation Filipino-American, he earned B.S. degrees in accountancy and management in May 2017 as a James Scholar in the Gies College of Business. See also “Chasing Waterfalls,” his first post.